Cars and car seats, sadly, aren’t designed to work together – so the car seat that fits your friend’s SUV may not work in your family sedan, says Brooks Watson, a firefighter, certified child passenger safety technician, and owner of Safety Squad. Expectant and new parents often ask their healthcare providers, friends and car safety technicians about the ‘latest and best’ new model or brand. But sadly, there’s not just one right piece of advice that fits all situations. That’s why the standard advice from groups including the National Highway Traffic Safety Administration (NHTSA) and the American Academy of Pediatrics goes something like this: “The right car seat is the one that fits your car, your baby, and is used properly every time.” If you’re like most parents, this is less than helpful. This is not the time or place to be frugal by purchasing a second-hand seat. Car seats expire: their materials degrade over use, time, and environmental conditions. Models are rapidly evolving; new safety and convenience features are added continuously. Newer models may offer advantages that make them easier to use. Car seats involved in accidents should never be used again, even if they look like they have not been damaged. It is difficult to know the history of a used seat. All new car seats purchased in the US from retailers must meet the minimal government safety standards. There are seats that have an upper weight limit of 30, 32, or even 35 pounds, instead of the standard 22 pounds. Buying bigger allows you to keep your baby rear facing longer using the same car seat. Rear facing is four times safer and experts now recommend that toddlers stay rear-facing until age 2. Newborns arrive in all shapes and sizes. This may be especially important if you are at risk for a smaller baby, such as with twins, a history of preterm labor, or of small babies. Infant car seats have a lower, as well as an upper weight limit. Most infant seats start at 5 pounds, but some start at 4 pounds. Look for a seat with the greatest number of harness slots – most have 2-4. 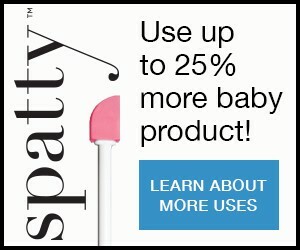 The more slots, and the lower they are, the better chance your baby will fit properly. 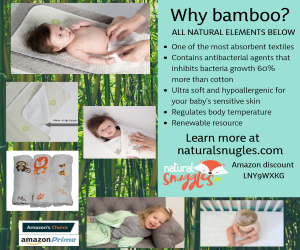 Look for an infant head support and good interior padding as these features help maintain proper alignment for newborns and smaller infants. They also prevent parents from using “add-on” fit items that haven’t been tested with your car seat. Avoid head wraps, strap covers, padding, sheep skins, or sleep-bag type covers as in most cases these haven’t been tested with your car seat. Adding items to your car seat might decrease its safety as well as void the warranty. General rule: If it didn’t come in the car seat box, don’t use it. Can you easily adjust the height and fit of the harness? Can you easily re-route the straps? The adjusting mechanism varies greatly from seat to seat. You’re more likely to use the seat correctly if the adjustments are easy to make. In order to install your car seat in the center of your back seat, you will probably need to use your vehicle’s safety belt system if it doesn’t have a LATCH system in this seat (which is 53% safer for baby than the outboard positions). When using your car’s lap/shoulder belt for installation, built-in lock offs on the infant car seat help ensure the tightest and best fit. 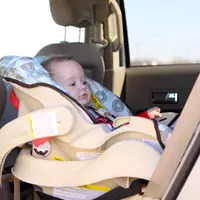 Check www.nhtsa.gov for a list of local installation stations where you can have your rear-facing infant seat checked to ensure proper installation. Safety trumps convenience every time. Next to your baby’s crib, the car seat is the most important thing you will buy for your baby. Many parents spend months researching travel strollers, and then buy whichever car seat fits that stroller. Choose your car seat first. If it doesn’t work with your favorite stroller, consider buying a “snap-n-go” type travel stroller for the short period of time that you will use the infant car seat. And be sure that you can return or exchange your infant car seat if necessary. Not every brand/model of car seat will work with every single vehicle on the road. If buying online, be sure to clarify the return or exchange procedure particularly keeping in mind that return shipping costs may be left to you to pay.